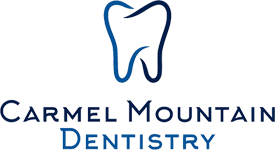 At Carmel Mountain Dentistry, we believe in comprehensive care where we not only focus on making you smile, but starting a lifelong relationship with you. Dentistry may be our profession but people are our passion. We are dedicated to providing the highest level of dental medicine along with friendly, compassionate service. If you have any questions about how we can care for your teeth or if you’d like to make an appointment, please don’t hesitate to call us at (858) 675-9055. Thank you! We love what we do and treat you like family. It is our aim to help you out every step of the way; Whether it be financial, insurance related or simply just holding your hand. His gentle character, expertise and dedication say it all! For Dr. Bunker, cosmetic dentistry is both a passion and an art form. He strives for perfection with each patient, and focuses on designing restorations that look and feel natural. 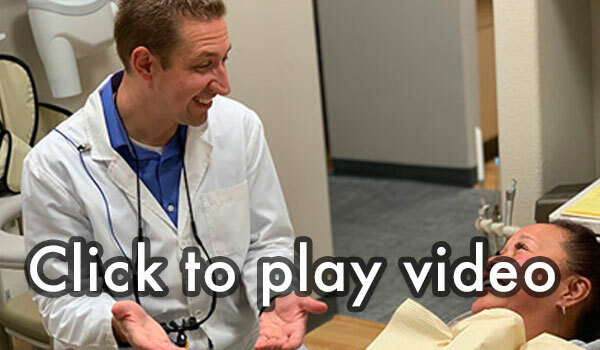 Just as importantly, Dr. Bunker has quickly established a reputation for his amiable, gentle chair-side manner and for his dental integrity while providing his patients with quality dental care as if they were his own family. Dr. Jared Bunker looks forward to building a long and trusting relationship with you and your family! "I take pride in providing the best possible dental experience for my patients. I want to show my patients how exceptional dentistry can improve their lives. If I can make someone smile a little more after their dental appointment than when they first stepped into my office then I feel like we accomplished our goal." A smile is the gateway to your personality. It is our aim to make you proud of your smile, so you can show it off whether in the middle of a work presentation or taking a selfie with friends. It is our mantra to "smile every day" and we want you to do the same. Highly recommending this place! Awesome Staff, great atmosphere and flexible scheduling! They truly made me comfortable and relaxed! Best dentist in town! The hygienist was also super sweet and gave me a lot of good advice. She wasn't pushy either. The staff was very nice and professional. Would drive an hour to come here! Treats my family like family. Outstanding customer service. Friendly staff. Dr. Bunker is one of the best dentist in town. I have been going here for years, and I have to say it has been a good experience every time I have gone. Staff is friendly, and dentist himself is very good. I would recommend them to anyone who might be looking for a new dentist. I have referred people here. Dr Bunkers Office is amazing! Very friendly and knowledgeable staff. Makes the dental experience a great! Definitely will recommend my friends! 15 years ago, I had four of my front teeth fixed with caps and veneers. Within a one-month period, one of the posts had fallen out, and another veneer had cracked leaving the front of my mouth looking like a James Bond villain. I called Carmel Mountain Dentistry and ask them... read more15 years ago, I had four of my front teeth fixed with caps and veneers. Within a one-month period, one of the posts had fallen out, and another veneer had cracked leaving the front of my mouth looking like a James Bond villain. 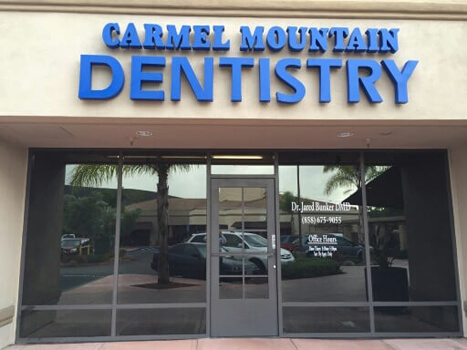 I called Carmel Mountain Dentistry and ask them to help. They immediately made an appointment for me for the following morning, and I went in being sure not to make eye contact or smile at anyone on my way there. When I got there the staff was incredibly friendly and worked out a financial arrangement for me that works with my immediate budget. For the next 4 hours they chipped away at my teeth and my follow-up appointment it's only two weeks later. If your looking for the LEAST amount of pain and suffering going to the dentist, then I say you found it! Cosmetic Dentist Dr. Jared Bunker has put together a handpicked staff to include the queen... read moreIf your looking for the LEAST amount of pain and suffering going to the dentist, then I say you found it! Cosmetic Dentist Dr. Jared Bunker has put together a handpicked staff to include the queen of accounting that rounds up the best TEAM of kind-hearted & caring professionals. Dr. Bunker is great ! Very nice and always happy ! They play great 80's music in the office so i love that its not so serious and quiet in there! The staff is beyond sweet !!!!! 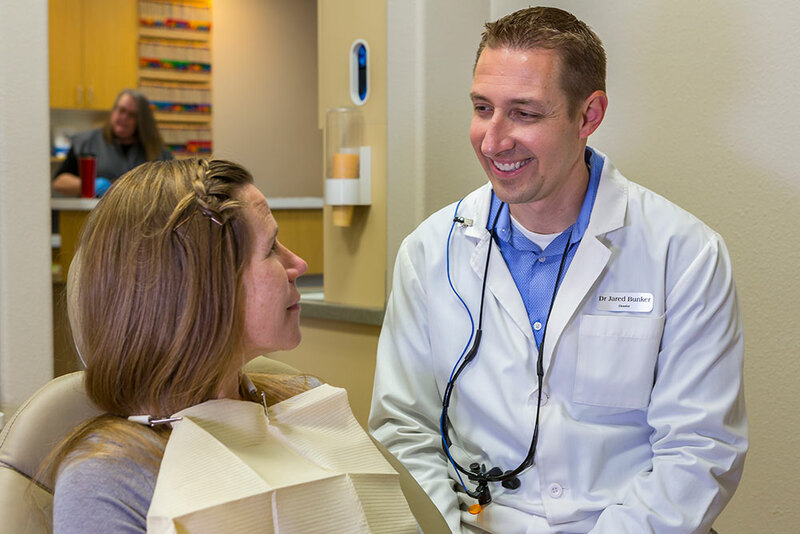 Dr. Bunker, Lyland, Andi and entire team are caring professionals that provide tremendous dental care. Their chemistry and kindness put me at ease and I’m especially grateful this New Years as they were able to treat me with an emergency visit this holiday season. Many thanks!! Their office is very clean and comfortable. The staff is very personable and friendly. Dr Bunker know's what he's doing. He was very courtoues to me. I was nervous when I arrived but the staff was patient and understanding so it didn't take long for me to relax and make... read moreTheir office is very clean and comfortable. The staff is very personable and friendly. Dr Bunker know's what he's doing. He was very courtoues to me. I was nervous when I arrived but the staff was patient and understanding so it didn't take long for me to relax and make the best of my visit. Its always so nice to see all the friendly people here. I got a very thorough cleaning. I'm so glad this is my dental office. I actually look forward to going to the dentist! I absolutely love Dr . Bunker and his staff! They treat everyone as if they are family. I have never in the years he took over had a negative experience. I drive from San Marcos just to stay with this office!